DAVOS 2019 – What’s next for humanity? 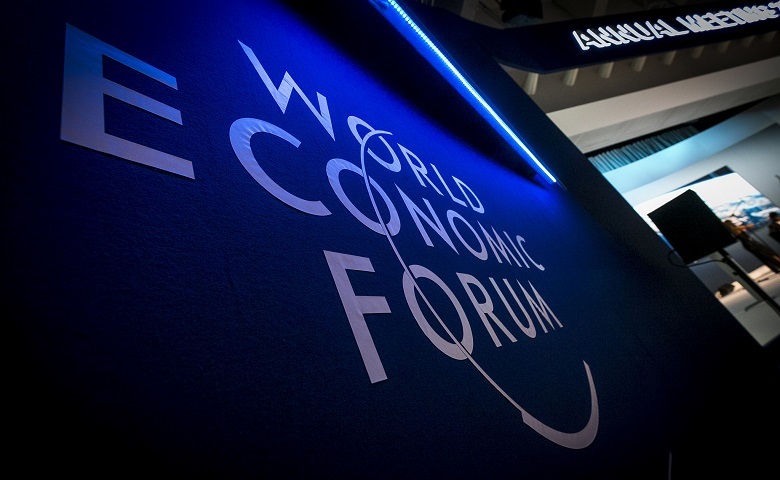 The last 49th World Economic Forum (WEF) took place from the 22nd to 25th January in Davos, Switzerland. This year the summit’s theme was “Globalization 4.0 – Shaping a Global Architecture in the Age of the 4th Industrial Revolution.” The Fourth Industrial Revolution (4IR) has been driven by the unprecedented technological change and asks for a completely new approach to the new economy that will be focused on the policies that will disregard the previous dichotomies and force cooperation and integration by taking into account different interests. The question that is looming is whether we are ready to create a new model of economy that will build on the 4IR business model and solve the current global challenges of climate change, inequality and poverty. The very essence of all today’s urgent issues that humanity is faced with has been summed up by the speech of the UN Secretary-General Antonio Guterres: “If I had to select one sentence to describe the state of the world, I would say we are in a world in which global challenges are more and more integrated, and the responses are more and more fragmented, and if this is not reversed, it’s a recipe for disaster.” Global politics and geopolitical tensions, global economy and climate change, immigration and digitization are becoming more interlinked and connected and fuse into common global issues and call for global and decisive responses. The global economy is not in a good state and the threat of a new global recession is here again. The financial sector has continued to play the old same game that caused the global economic crisis in 2009 and during her speech at Davos, the head of the IMF, Christine Lagarde urged the banking sector to aim for a greater purpose than just maximum profit. Moreover, the mounting indebtedness of both developed and developing countries is hindering them to implement projects and initiatives that are designed to achieve Sustainable Development Goals and realize the Agenda 2030. Apart from the economy, the political tensions among the largest global powers-the USA, China and Russia- are growing and do not seem will take a downturn direction anytime soon. Still, the global current issues of environment protection, climate change and rising inequality need to be tackled urgently. On the positive side, during this year WEF, new initiatives, with the World Business Council for Sustainable Development (WBCSD) as one of the partners, have been launched: The Alliance to End Plastic Waste, the New Circularity Cap and the EAT Lancet report. The Alliance to End Plastic Waste, designed and promoted by the WBCSD, is the largest value chain initiative dedicated to end plastic waste in the environment. The focus of the summit was also the circular economy and the fact that only 9% of resources are currently being recycled calls for much more to be done in this area. There is a huge potential in circular economy strategies that can help businesses to grow while limiting global warming and helping the fight against the consequences of climate change. At the WBCSD “Healthy People Healthy Planet” session, the EAT Lancer report has been launched and it sets out scientific targets for healthy diets and sustainable food production. Although, the technological changes and digitization have brought many benefits, they have also reshaped the workplace landscape and left many people, regions and countries behind and created inequalities and social insecurity. At Davos, the issue of the future of work has been recognized as a topic of the utmost importance since work is the engine of economy. The transition to a new economy based on 4IR model should not be accompanied by “jobless growth, income inequality and social instability” and businesses and organizations will play a major role in this transition. There is no doubt that the Fourth Industrial Revolution requires the establishment of a new global architecture and new global standards, policies, and conventions that will protect environment and reduce inequality so to safeguard the public trust. However, the peaceful transition to a new global economy and architecture, in the time of the Fourth Industrial Revolution, cannot be achieved without a global dialogue and consensus since we are not living anymore in a “bipolar” world but in a “multipolar” one that calls for all the parties to search for global solutions to shared global issues. Otherwise, the sustainable future we are running towards may only turn into a bleak and dim past that we have been running away from. Sustainability Knowledge Group is a global advisory firm dedicated to creating value, through strategic CSR and sustainability solutions. Sustainability Knowledge Group provides tailor made training, coaching and advisory solutions grounded in international theory and successful application, and focuses on proven methodologies that bring tangible results, measurable impact and create better businesses.